The Halo series has begun over ten years ago and since some time now Halo 5 is being played as an eSport and the big bettingsites for esports have followed suit and released their bets and odds. 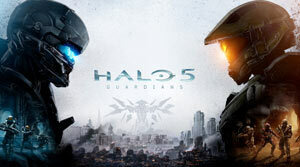 Halo 5, the tenth title in the series, was released by 343 Industries for the Xbox One in Octobre 2015. As an esport, two teams are facing up against each other at a time. One team consists of 4 players. There are different maps with individual terrain, requiring the teams to prepare for more specific strategies. This can make it a bit harder to bet on the right team. All maps can be separated into three categories: Capture the Flag, Strongholds and Slayer. While kills don't net a lot of advantage for a team, each category has a different objective that needs to be completed in order to win the map. Due to the short nature of these maps, tournaments and matches are often played in a best of five or even best of seven. Halo 5 is quite a fast esport, especially comparing it to Dota 2 or League of Legends, in which maps can often go over an hour. The Halo Series is almost a tradition at this point, with the first title being released in 2001 for the original Xbox. Its success can be contributed to the spectacular single player experience and, maybe even more so, to the phenomenal multiplayer. With the multiplayer expanded and as a response to the overwhelming presence of Call of Duty as esport, Microsoft themselves organized and held the Halo World Championship 2016 with an astonishing prizepool of $2,500,000. This tournament gave new life to the esport scene of Halo 5, and new tournaments are regularly held. Even if the tournaments aren't reaching the prizepool of the Halo Worlds 2016, Halo 5 is getting more popular. This was also noticed by the big esport betting sites and they have begun releasing their bets and odds for Halo 5 tournaments. On the one hand you can bet on the winner of different matches and of course the popular bet on the overall winner. Reading the odds one can assume clear favorites, but they are still subject to change until the tournament starts. Visiting the bettingsites more often before a tournament starts is definitely worth it. Unfortunately, many different bets, like we see in the big esport titles, are not present yet and will probably be introduced once the Halo 5 esport scene gets bigger. The yearly held Halo World Championship tournaments are the biggest ones in Halo 5 esport. Especially the Halo Worlds 2016 broke all records with its prizepool of $2,500,000, making it the biggest ever in console esports history. The Halo Worlds 2017 will feature a prizepool of $1,000,000 which is still impressive. 16 teams will be participating.